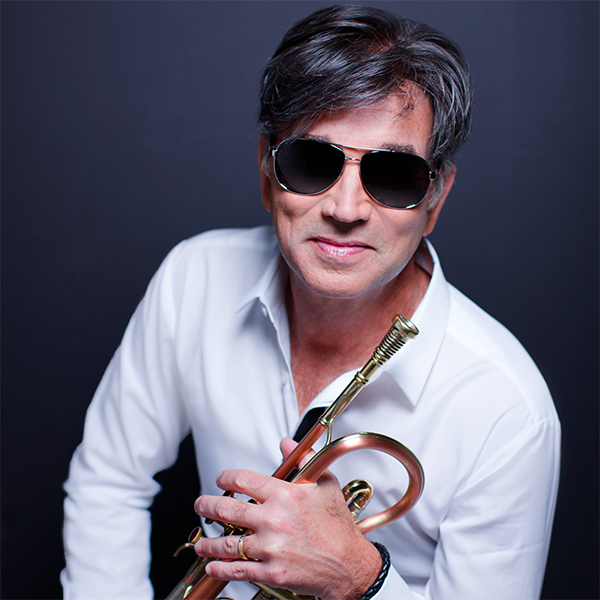 “I just want to continue to explore the boundaries of what I am capable of as a musician,” declares acclaimed chart-topping trumpeter, composer and producer Rick Braun. Known for his impeccable technical chops, melodic wizardry and keen compositional prowess, the consummate Los Angeles-based musician has been thrilling audiences for decades. Braun has made a mark staying true to his own musical voice and eclectic influences that have allowed him to collaborate across genre with some of the biggest names in music including Rod Stewart, Tom Petty, Sade, Natalie Cole and REO Speedwagon. Having clenched over 20 #1 Smooth Jazz hits, Braun has collaborated with all of the brightest stars in contemporary jazz from Kirk Whalum, NormanBrown and Peter White, to Dave Koz, Boney James and Brian Culbertson. Braun was blessed to discover music at an early age. “When I started playing as an eight year-old boy, I loved it right away. I loved the smell of the horn, the sound that it made and everything about it and I continue to love it.” There was a time when Braun was contemplating pursuing medical school but luckily for us music won out. Still a student of the music, of late Braun has been intently listening to Freddie Hubbard, Clifford Brown and Chet Baker. In fact, he is working on a tribute concert featuring Chet Baker’s music. Rick Braun has enjoyed a career longevity that is rare in this business. He has crafted his own distinctive sound and has become a staple on contemporary jazz radio. He has produced No. 1 hits for David Benoit, Marc Antoine and former Rod Stewart band sidekick Jeff Golub. Braun achieved collaborative success on massive hits with Boney James, as a member of RnR with saxophonist Richard Elliot, and with BWB, a powerhouse trio completed by Grammy® winners Kirk Whalum and Norman Brown. Grammy® Award-winning Contemporary Jazz/R&B superstar Norman Brown has sold close to 2 million albums in his extraordinary career and virtually lives at the top of the Billboard Contemporary Jazz sales and radio charts, having shared the stage with virtually every Contemporary Jazz superstar from Boney James to Dave Koz to Gerald Albright. Born in Shreveport, Louisiana, and raised in Kansas City, Missouri, Norman Brown first picked up a guitar at the age of 8. Initially inspired by Jimi Hendrix, it was his father's preference for the sound of Wes Montgomery that set Brown on his stylistic journey. After high school, he moved to Los Angeles to pursue his musical career, attending the Musician's Institute, where he also taught. While playing with his own group in local clubs and drawing comparisons to George Benson, Brown was discovered and signed to the MoJazz label, a division of Motown. He delivered his debut album, Just Between Us, in 1992 and followed with the gold-certified After The Storm and Better Days Ahead. The talented musician then made the leap to Warner Bros. and released Celebration in 1999, which first teamed him with producer Paul Brown. The follow-up Just Chillin' earned Brown much-deserved Grammy® recognition in the best pop instrumental category. In 2002, Brown formed the smooth jazz supergroup BWB with saxophonist Kirk Whalum and trumpeter Rick Braun, and together they released the album Groovin'. He then returned to his solo work in 2004 with West Coast Coolin', followed two years later by Stay with Me on the Peak label. His compilation The Very Best Of Norman Brown was one of the best-selling smooth jazz albums of 2005 and 2006. Brown then signed with longtime jazz label Concord and released 2010's Sending My Love. Two years later, he paired with saxophonist Gerald Albright for the 2012 release 24/7. In 2013, he rejoined BWB for Human Nature. In 2016, Brown released his third album with BWB, simply titled BWB. Let It Go, Norman’s inspired debut album for Shanachie Records and his latest release, has something for everyone, whether an R&B fan or a jazz aficionado and is Norman Brown at his best. 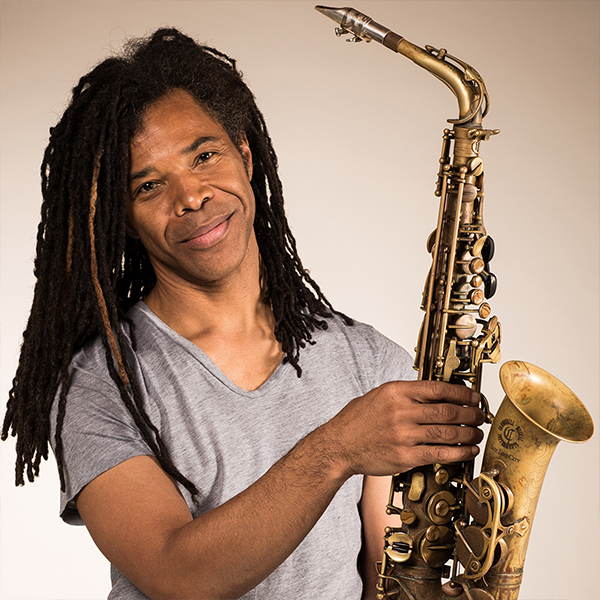 “I never really know what song is going to come next…thankfully it just comes to me,” confides chart-topping saxophonist, composer and producer Euge Groove, who has scored close to a dozen #1 hits on the Contemporary Jazz Charts. A favorite on radio and the international touring circuit, Euge Groove has garnered a devout following with his irresistible mix of danceable grooves, mind-bending hooks, R&B infused melodies and inspired solos. Euge Groove’s musical sensibilities are hard-won. Born Steven Eugene Grove in Hagerstown, Maryland, he grew up in a musical home. His mother played piano and taught the church choir and Euge began his musical pursuits at the age of seven, beginning with piano and adding saxophone at nine. Through the years, Euge’s love of Jazz, R&B, Gospel and Blues have all come together to inform his personalized sound. A graduate of the University of Miami’s School Of Music, Euge launched his professional career in Miami in the mid-80s, playing in salsa bands, Top 40 club bands and doing the occasional high-profile session date like Expose’s “Seasons Change,” a #1 Billboard AC hit. In 1987 he moved to L.A., wrote a track for Richard Elliot’s The Power of Suggestion and Elliot recommended Euge to take over his spot in Tower of Power. Euge toured with TOP for four years, including a year backing Huey Lewis & The News. He went on to record, tour or perform with the likes of Joe Cocker, The Eurythmics, The Gap Band, Elton John, Bonnie Raitt, Aaron Neville and Richard Marx (that’s Euge’s horn on “Keep Coming Back,” a #1 AC hit duet he recorded with Luther Vandross). In 1999, Euge started recording his own material, dubbing himself Euge Groove. He signed soon thereafter with Warner Bros. “Vinyl,” his first single from his eponymous Warner Bros. debut, set a record by spending 27 weeks on the R&R charts. In 2004, Euge Grooves’ Narada debut, Livin’ Large, spent 68 weeks on the Billboard charts. The title track was the #5 most played song for 2004 on the R&R singles chart. Just Feels Right followed in 2005 and its first single was #1 for two months. There followed in the next decade a string of hit singles and best-selling albums; his hit “Religify” was ‘song of the year’ in 2007, and his albums S7ven Large and House Of Groove each spawned #1 hits. Got 2 Be Groovin’ came in 2014, and 2016 saw the release of Still Euge, which featured the hit title track as well as memorable vocal appearances from Oleta Adams and Rahsaan Patterson. In the first few bars of the title track to his new Peak Records/eOne album, Countdown, contemporary urban jazz’ hit saxman Paul Taylor, ever the engaging showman, invites his legion of fans into the experience by counting off 5…4…3…2…1. He launches into his incredible third decade as a solo artist with a set that’s fuses his trademark jazzy/funk/soul vibe with prominent elements of synthy dance pop/EDM, trancelike neo-soul, electronica, folksy lite rock, reggaeton, even a touch of blues. The album’s colorful fusion of grooves and styles was created by the saxophonist and his longtime collaborator, co-writer and producer Dino Esposito. The two share a dynamic several decade long history that began when they played in the same band while attending the University of Nevada, Las Vegas. Esposito’s collaboration as a co-writer, producer and sonic co-architect began with Paul’s 1995 debut On the Horn and continued with Pleasure Seeker (1997), Undercover (2000), Hypnotic (2001), Nightlife (2005), Prime Time (2011) and Tenacity (2014). Paul has been a groundbreaking force among the sax elite in the genre since his hit 1995 debut On The Horn. His 2014 #1 hit “Supernova” continued the exhilarating upswing he has been enjoying since he started his second decade as an artist with Ladies’ Choice (2007) – his first ever #1 on the Billboard Contemporary Jazz Albums Chart. “Burnin’,” the title track from his 2009 album Burnin', hit #1 on the airplay charts, and “Push To Start” from Prime Time (2011) also hit the pole position on the Smooth Jazz Songs chart. Prime Time further lived up to its colorful name by reaching the Top Ten on the Billboard Jazz Albums chart. The Denver native has been mesmerizing thousands of fans, headlining hundreds of shows and being part of exciting all-star tours – most recently doing dates with Peter White and Euge Groove in a lineup affectionately dubbed “Peter, Paul and Euge.” Before that he was part of the blockbuster summer tours Gentlemen of the Night (with Marion Meadows and Warren Hill) and Sax and the City (with Meadows and Vincent Ingala). Over the years, he has also hit the road with The Rippingtons and the acclaimed “Groovin’ For Grover” tour. In December 2012, the longtime basketball enthusiast achieved another longtime dream, performing the National Anthem in Madison Square Garden at a New York Knicks game; their coach Mike Woodson is a longtime fan. Taylor is now also an official endorsee of Vigilante mouthpieces and tenor and alto saxophones for Cannonball Musical Instruments. After over ten albums of non-stop hit making, thousands of charismatic performances worldwide and years of setting new standards for the sonic possibilities of contemporary urban jazz, Paul Taylor has still got his antenna up – ready to pounce on, absorb and be inspired by every vibe he hears that’s fresh, hip and edgy. Now, with his latest release Countdown, he’s blasting off into the next phase of his career, excited about the road ahead! 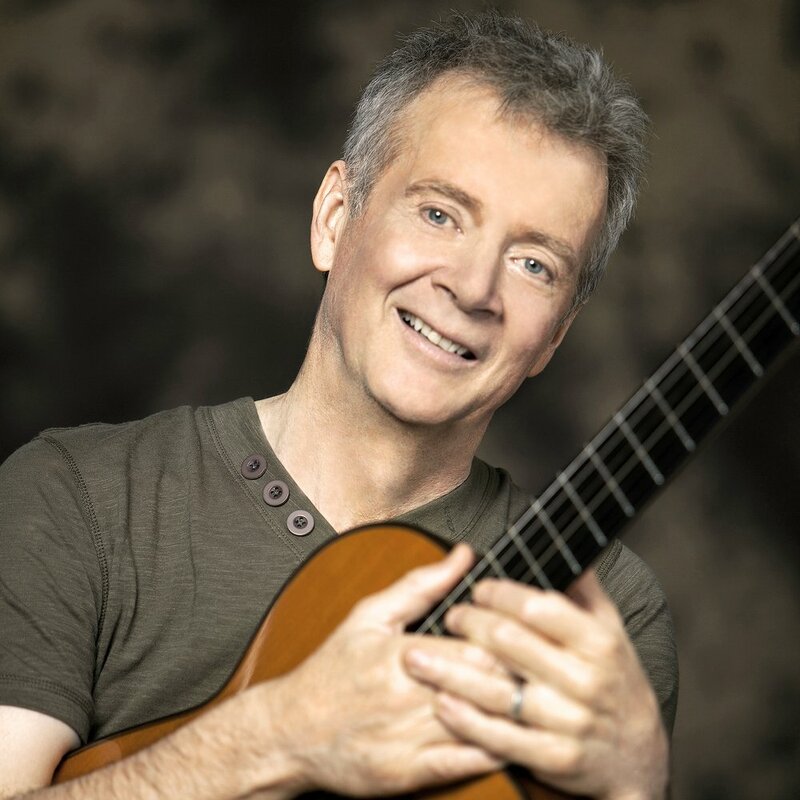 Over the years, Peter White has maintained a reputation as one of the most versatile and prolific acoustic guitarists on the contemporary jazz landscape. Armed with an unparalleled combination of lyricism and energy, the artist born in Luton, a small town north of London, combines elements of jazz, pop and classical guitar to create a sound that is singular and at the same time accessible to a broad audience. In a career that spans nearly four decades, over a dozen solo recordings and countless performances, White insists that it’s the faces in the crowd and the fans that keep the experience fresh. “I’ll play a live show, and someone will come to me afterward and say, ‘Oh, I loved this CD,’ or ‘This song helped me through a bad time,’” he explains. “Or I get emails from people saying, ‘Oh, I love the way you covered one of my favorite songs on your record back in 1994.’ The idea that someone can write me an email and tell me about something I did on a record that was released over 20 years ago – you can’t buy that. That’s priceless. That’s what keeps me going – the idea that people out there really care about what I do, the idea that I’ve made a difference for someone." The Florida Smooth Jazz Weekend is once again excited to present a young rising artist, Jazmin Ghent, to our 2019 guests as part of our Rising Stars series with Jazz in P!nk. 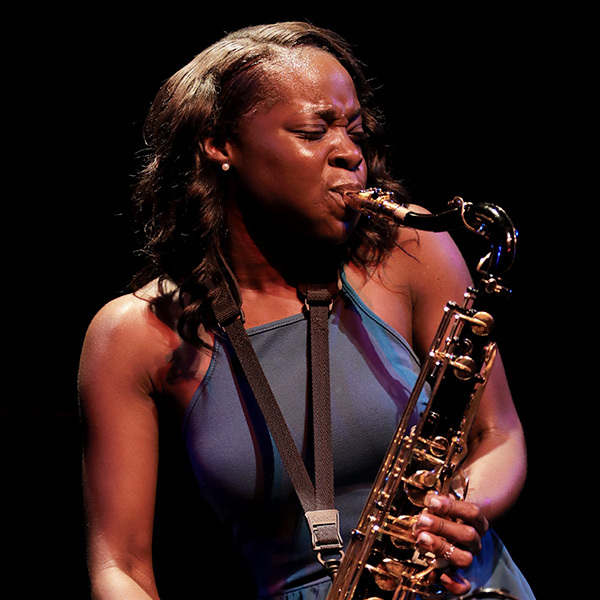 Soulful and passionate, the dynamic tenor saxophonist is a 2013 graduate of Florida State University, the 2015 recipient of a Master's in Music Education degree at Tennessee State University in Nashville, and is now a teacher of Music Education where she resides in Lakeland, Florida. Born in Germany and raised in Huntsville, Alabama, Jazmin began taking piano lessons at age 5, and became the Sunday School pianist at the age of 8. Introduced to the saxophone in Middle School, she then progressed to become her church's pianist and saxophonist. Jazmin has won numerous awards, including the NAACP ACT-SO competition at age 17. She was the winner of the 2014 Smooth Jazz Cruise Talent Contest and opened for the Sirius XM Hall of Fame Ceremony hosted by Marcus Miller with her smooth and souldful rendition of "Summertime." She has performed at Low Country Jazz Festival, The Florida Smooth Jazz Weekend, Rehoboth Jazz Festival, Orlando Jazz Festival, Magic City Jazz Festival, Catalina Jazz Festival, and Seabreeze Jazz Festival. Jazmin’s debut CD Boss reached the Smooth Jazz Global radio’s top 50 Smooth Jazz CDs for 2015. Her debut single “Compared to What” gained national recognition and was #5 on the Smooth Jazz Charts, receiving airplay on Sirius XM Watercolors radio as well as Music Choice, Pandora and Spotify. Jazmin has since released her sophomore album, Chocolate Sunshine, which features Johnathan Fritzen, Julian Vaughn, Nelson Rangell, and Adam Hawley and combines Jazmin's gospel roots with her passion for music to create a fresh new sound for the smooth jazz world. The First Lady of Smooth Jazz is a distinction that Gail Denise Jhonson has worked her lifetime to achieve. Bringing all of her many talents to bear as soul-lifting spiritualist, next-gen feminist inspiration, big-picture band leader and Philly street-corner rhythmist, Gail has built her career on a foundation of straight-ahead jazz, R&B, Funk and Gospel. Born and raised in the city of Philadelphia, Gail’s fascination with the endless possibilities of the piano began at the young age of 10. By 14, she had played her first professional gig, starting on a journey that has seen her travel the world, touching lives through her gift of music. She graduated from the prestigious Berklee College of Music with a B.A. in Composition and then moved to Los Angeles where she established herself in the vibrant heart of the music industry. Gail’s impressive resume as a recording artist and touring musician includes appearances with artists such as Norman Brown (for whom she has been music director for many years), Mindi Abair, Bobby Womack, Ray Parker Jr., Pink, Milli Vanilli, Morris Day, and Rain Pryor. She leads the all-female ensemble “Jazz in P!nk” which has featured artists Karen Briggs, Althea Rene, Marie Antoinette, Cindy Bradley, and Jazmin Ghent. She is an educator and author of 3 music method books, has released four solo CDs, and is featured on the 2014 release of the debut Jazz in P!nk CD, 1st Collection. In 2010 and 2011, the American Black Music Association awarded Gail a Spotlight Award and she won “Best Jazz Musician.” Her daughter Tamina, who also studied at Berklee College of Music, performed and won “Best Jazz Vocalist” in 2011. From her humble beginnings on the streets of Philly to the height of her success on the stage and in the studio, the highly regarded keyboardist continues to live a life fully committed to music. Althea Rene was born Christmas Day, December 25th, in Detroit, Michigan and began her musical journey at the tender age of four. She studied classical music while attending Howard University in Washington D.C. She later gained further musical inspiration from the accomplishments of Yusef Lateef, Ian Anderson, and her father, one of Motown's original Funk Brothers, Dezie McCullers, and has since developed her own creative style. For over 10 years, Althea was employed as a Wayne County Deputy Sheriff in Detroit. Now a full-time performing/recording artist, she is regarded as a "master of her craft" and one of the world's most exciting solo improvisational flutists. She has performed at numerous festivals and cruises throughout the world, including the North Sea Jazz Festival, Seabreeze Jazz Festival, Napa Valley Jazz Getaway, Berks Jazz Festival, the Capital Jazz Cruise, and the All-Star Cruise. In May 2013, Althea released her fifth CD "In The Flow," collaborating with Grammy® Award winning producer Michael Broening (producer for legendary icons George Benson and Paul McCartney) with whom she co-wrote the title track. That single became her biggest hit and reached the number one ranking on both the Billboard Chart and the Smooth Jazz Chart, making history by becoming the first flutist to reach the number one spot on the Billboard Chart. 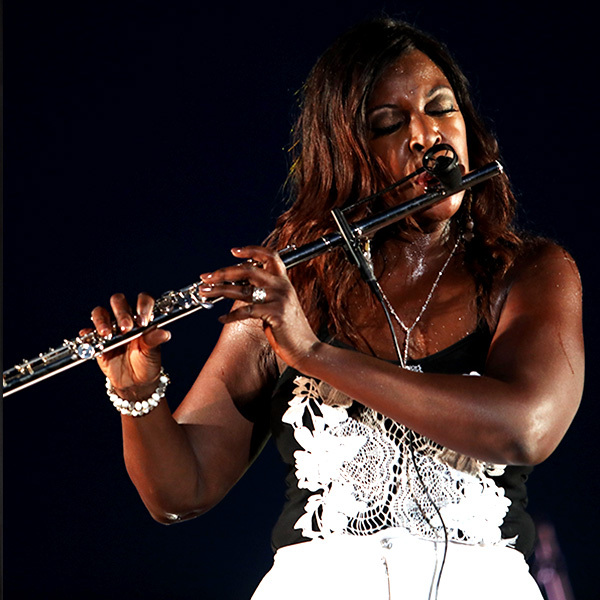 Her latest CD, Live in Detroit, is a compilation of her greatest hits recorded live on stage at the Detroit Public Library in a scorching hot performance in April 2015, continuing to take her music to the masses and carrying the flute to new levels. Bassist Tim George was raised in Manhattan, Kansas where he began playing the drums at age 6 but was always drawn to the sound of the bass. One day in a garage band jam session, there were too many drummers but no bass players, and the rest is history! Graduating with a Music Education degree from Kansas State University studying classical acoustic bass, Tim has been teaching elementary school music in Pinellas County, Florida for almost 30 years when not playing music professionally. Some of the artists that he has performed with include Mel Torme, Ray Charles, Bobby Caldwell, Chuck Loeb, Jeff Lorber, Rick Braun, Richard Elliot, Kim Waters, Mindi Abair, Nick Colionne, Euge Groove, Paul Taylor and Peter White. Music has always been a driving force in Tim's life and that force is as strong as ever. Guitarist Randy Jacobs was born in San Francisco and raised in Detroit where he learned to play guitar and bass, but now calls Los Angeles his home. Randy has performed and/or recorded with numerous artists, including Seal, BB King, Tears for Fears, Dave Koz, Rick Braun, Mindi Abair, Brian Simpson, Peter White, Euge Groove, the Staple Singers, Bonnie Raitt, Brook Benton, Ron Banks and the Dramatics, Alicia Myers, Ray Parker and Raydio, Richard Elliot, Warren Hill, Michael Henderson, the Boneshakers, Don Was and Was (Not Was), Willie Nelson, Paula Abdul, and many more. When not out on the road or on The Smooth Jazz Cruise electrifying audiences with his unique style of guitar, Randy's hobbies include spending quality time with his girl and basketball. Drummer Dave Reinhardt was born in Washington, DC and lived there until moving with his family (and brother Ron) to his current home of Clearwater, Florida prior to the 8th grade. 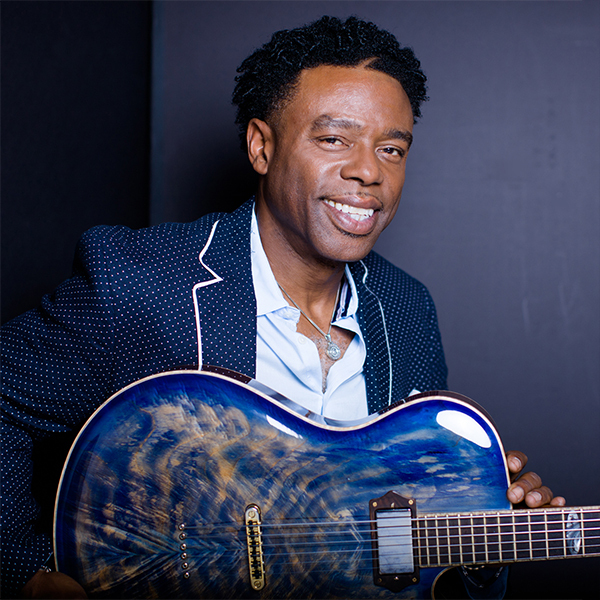 Touring with Richard Elliot for over 10 years, Dave has also performed with other numerous contemporary jazz artists, including Peter White, Rick Braun, Mindi Abair, Jeff Golub, Euge Groove, Paul Taylor, Steve Cole, Jackiem Joyner, Nick Colionne and Jeff Kashiwa, and has played on countless studio sessions. Dave's versatility has also enabled him to perform with other diverse artists such as Nat Adderley, Jeff Berlin, Slash (of Guns 'n' Roses), Chick Corea and Rick Derringer. Keyboardist and Music Director Ron Reinhardt was born in Salisbury, MD and currently resides north of Tampa, Florida. Ron has had the good fortune of working with virtually everyone in the Smooth Jazz world (including his brother Dave) and has been a member of Richard Elliot's band since 1992, touring throughout the world. A well-recognized musician on The Smooth Jazz Cruise, he has worked with artists including David Sanborn, Marcus Miller, George Duke, Wayman Tisdale, Chris Botti, Candy Dulfer, Rick Braun, Peter White, Mindi Abair, Euge Groove, Kirk Whalum, Gerald Albright, Nick Colionne, Jeff Golub, Warren Hill, Paul Taylor, Eric Darius, Craig Chaquico, Marc Antoine, Rick Derringer, Jeff Berlin and many others. In the late 80's and early 90's, Ron toured with Donny Osmond and served as Music Director in 1990-2 before joining Richard Elliot. His song "Sly," which appeared on Elliot's 2004 Ricochet CD, reached #2 on the national R&R Chart, and Ron's current solo CD, aptly entitled From The Shadows, was released in 2012.